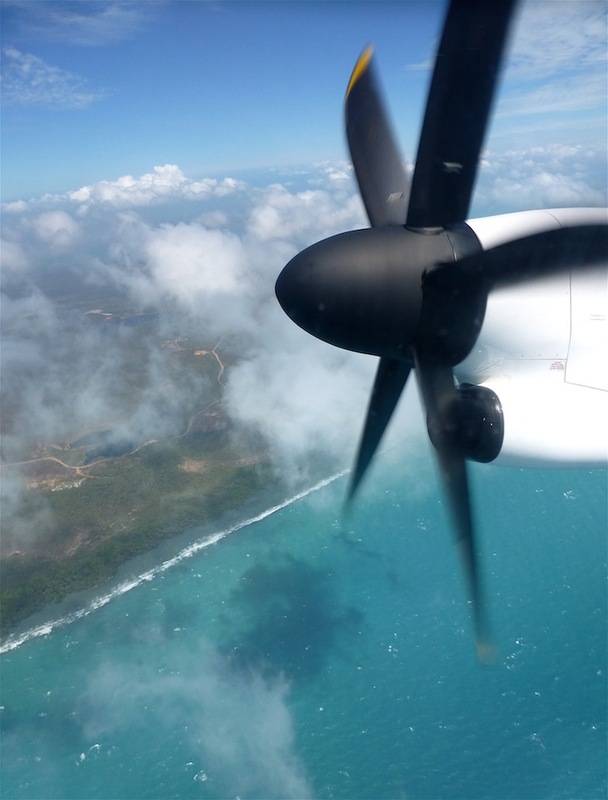 Whilst it may not have featured in the likes of Gourmet Traveller magazine, or be listed as a top culinary destination, to a ‘fly-in’ foodie foreigner from Bruny Island, Tasmania…….. ………it soon became evident that Thursday Island promised to provide some top-notch tucker. 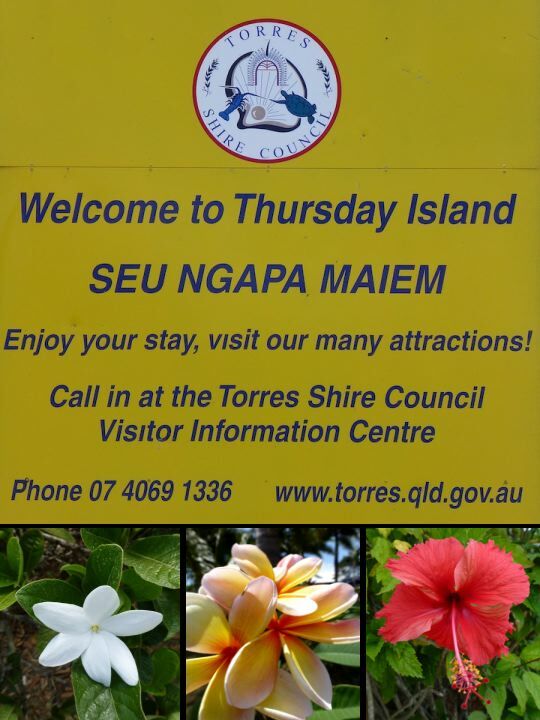 Torres Strait islanders are a welcoming lot……… ………and being islanders, they are naturally quite at home on the water……. ………as well as being keen and capable fisher folk. 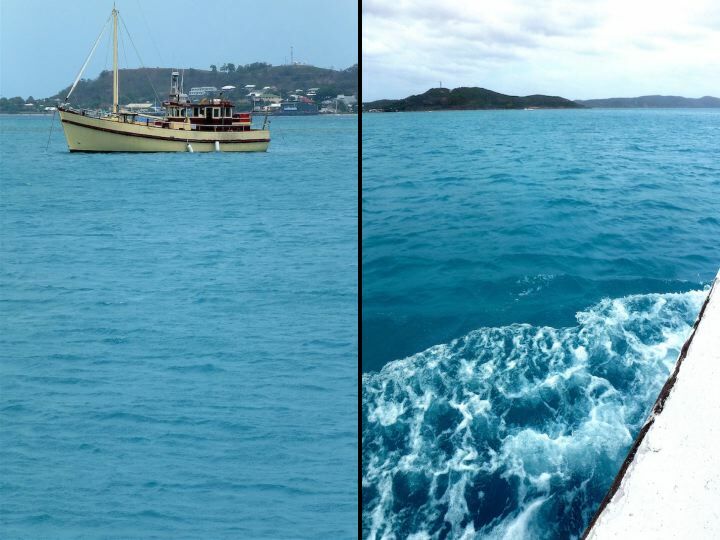 For those of us from the cooler climes, the rich harvest of crayfish, prawns, snapper, mullet and mud crab is an enviable haul on an almost daily basis for Thursday Islanders. The hard working Torres News editor often replenishes the family freezer and most seafood is simply barbecued on an outdoor grill. 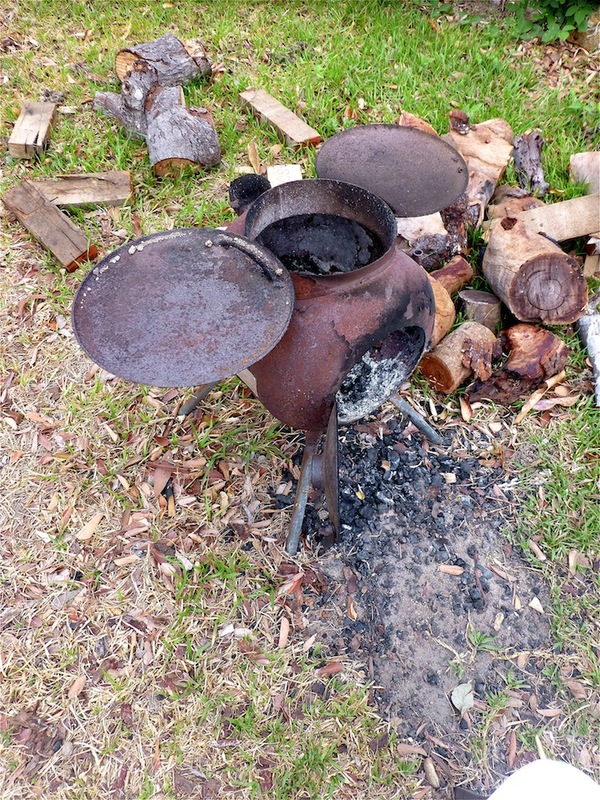 A trip around the island revealed a fascinating glimpse into some ingenious cooking apparatus that ranged from a small spherical wood-burning cooker (with a clever hinging plate system on top) in someone’s backyard……. 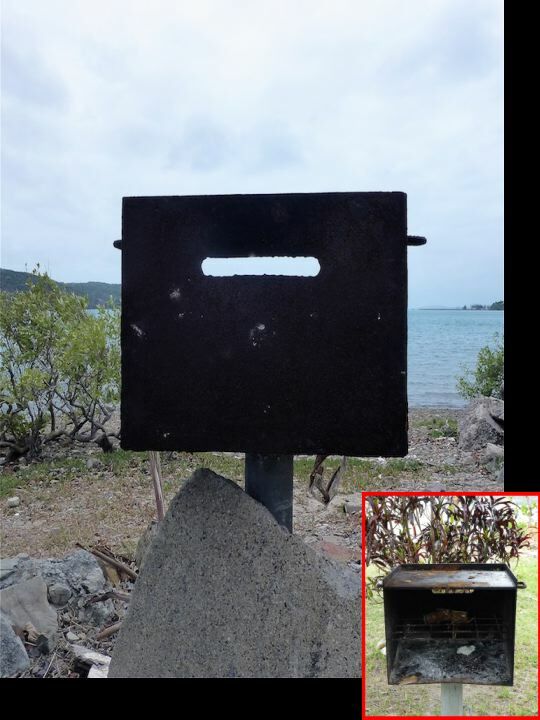 ……………to the publicly available Ned Kelly look-alike barbecues on the beach……….. ………. 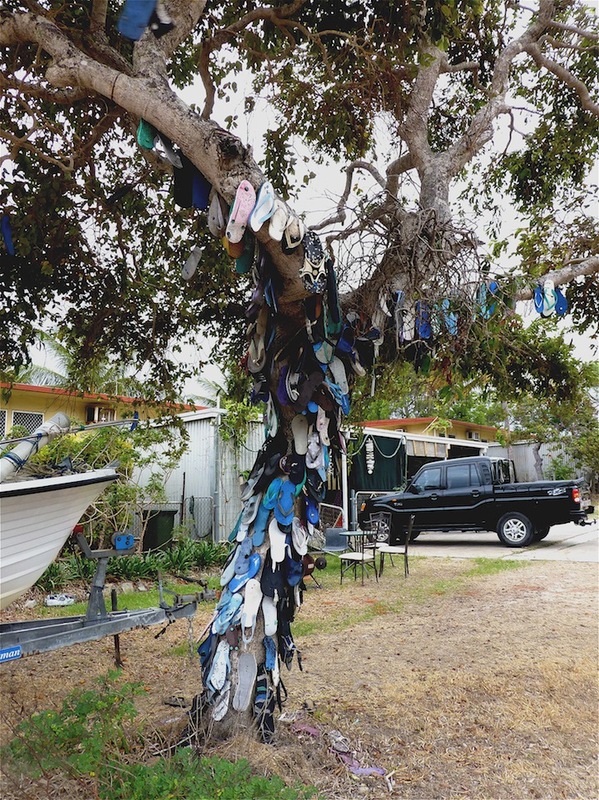 to traditional kup murri pits used for islander celebratory purposes. An early morning glass of fresh coconut water, courtesy of the machete wielding editor of Torres News from a tree at his backdoor, is followed by a stroll down the main drag to Frankie’s for coffee. The local bakery serves up a range of fresh seafood pies, from the subtle to the fiery. 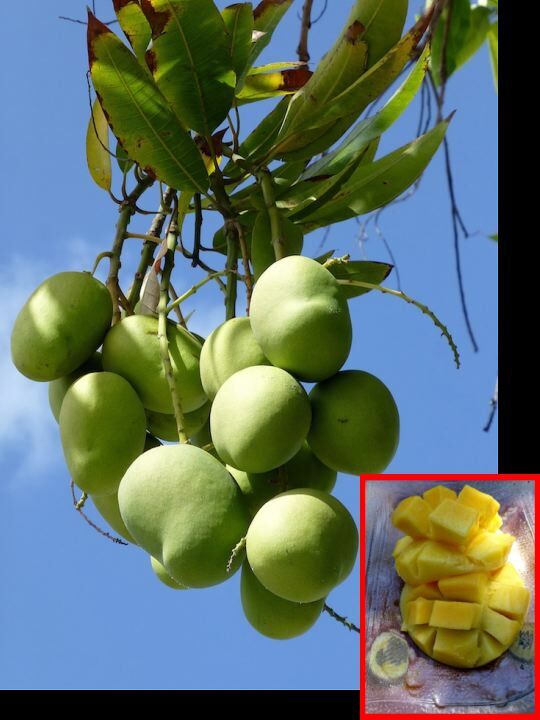 Mango trees line most roads in town with branches that drip with fruit that will soon ripen in a glut. Another fruit in glut is a unique variety that is salt and wind hardy, but can be a little tough until fully mature – the Thong Tree (Thongus toughasgutiscus) fruits all year round but surprisingly, is not popular fare. 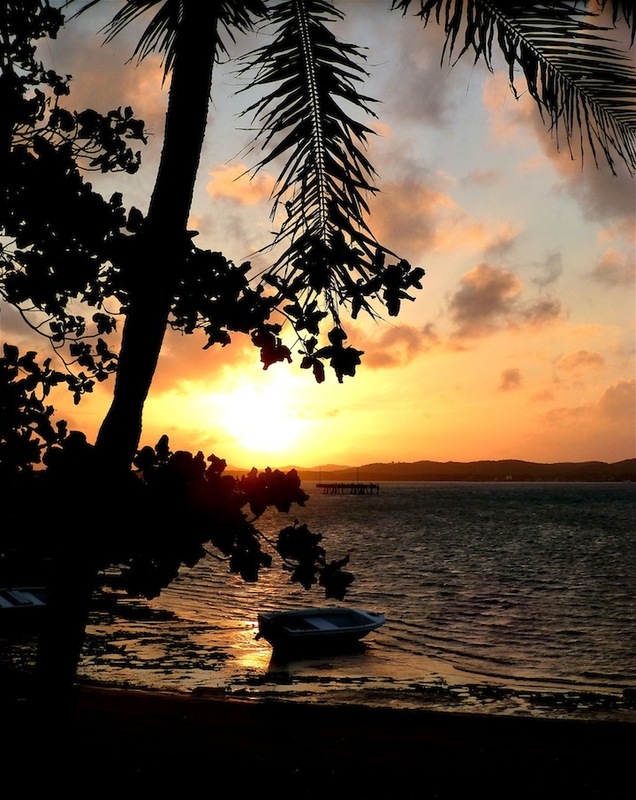 Brunyfire’s first introduction to one of the Torres Strait Islanders favourite fruit came in the form of a print. At the time, the Gab Titui Indigenous Art Award for 2013 were being exhibited, and amongst the art works was this magnificent lino print by Weldon Matasia from the Badu Island Community. 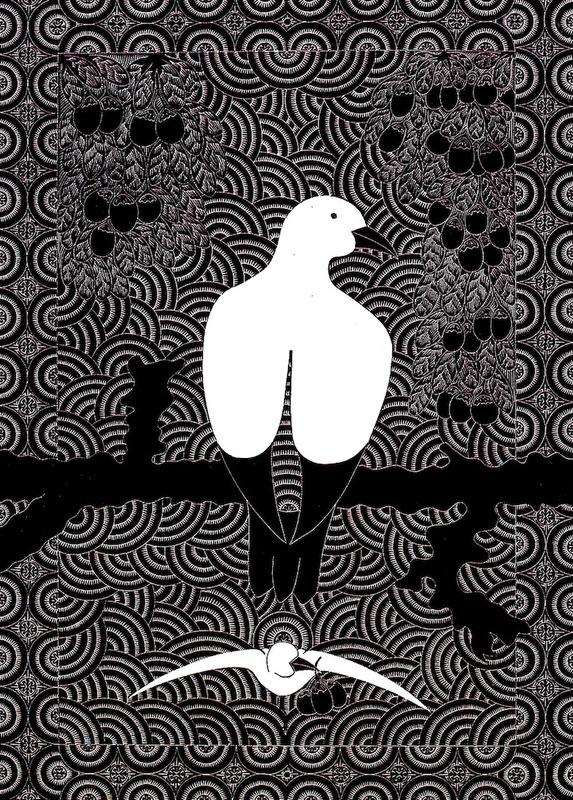 Whilst the main feature of the print is the Torres Strait pigeon, a bird that carries great cultural significance to the Islanders, it was the reference to the wongai fruit hidden within the decorative background of the print that caught Brunyfire’s attention. It transpires that this fruit – with its purple-red flesh with a texture and a taste like a date – is a favourite of the locals when it is in season (May-June). 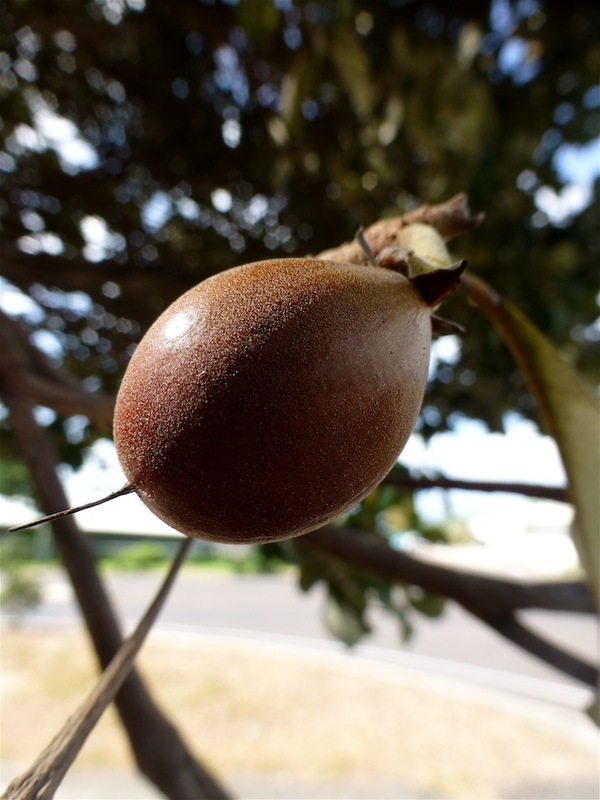 It is also hugely significant in Islander belief – according to legend, those that eat one of these plums are destined to return to the island. As if one needs an excuse! 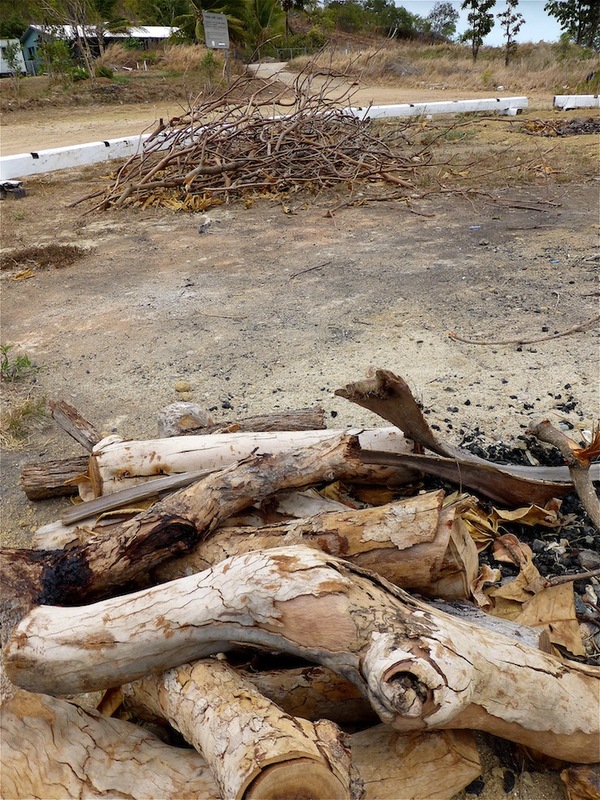 Brunyfire tracked down the local wongai plum (Manilkara kauki) tree next to the bank on the main drag that revealed a single fruit hanging defiantly out of season………. 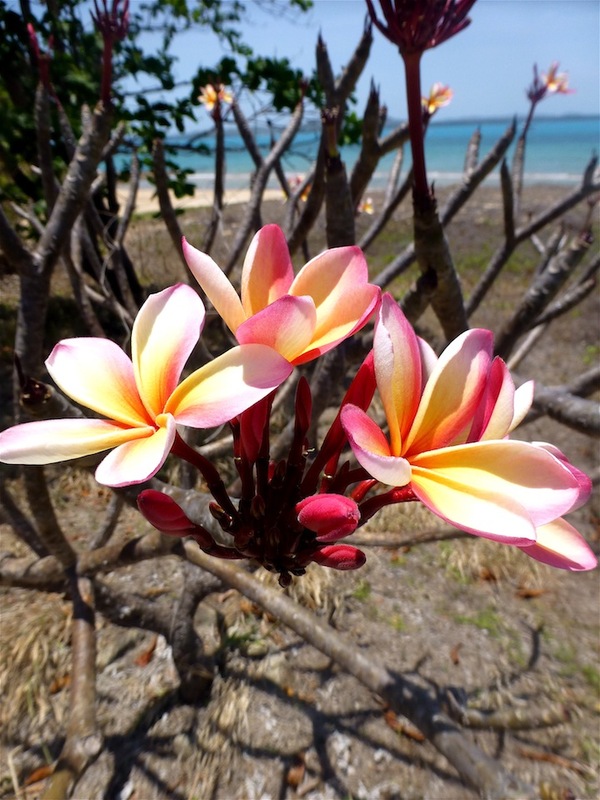 ……….with the last of its flowers. The timber of the wongai tree is hard and dense, and thus ideal for wood carving and it’s interesting to note how over time, the skills from the tradition of wood carving have evolved so successfully into the techniques of print making. 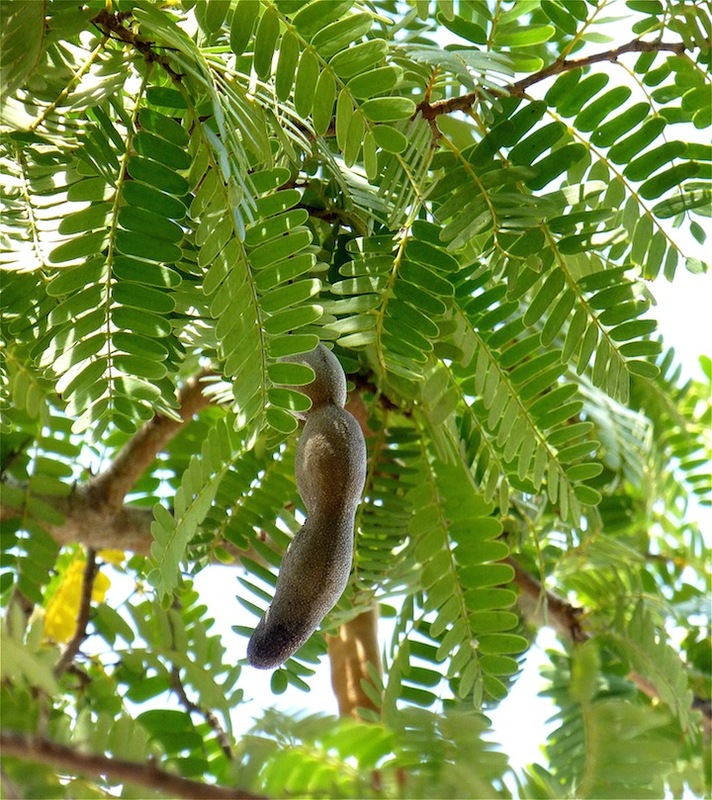 Outside the Cultural Centre stands a tamarind tree with fruit ready for picking. The fruit is a brown pod-like legume, which contains a soft pulp and many hard-coated seeds – with persistence, the preparation of tamarinds can add a piquant/tart flavour to both sweet and savoury dishes. 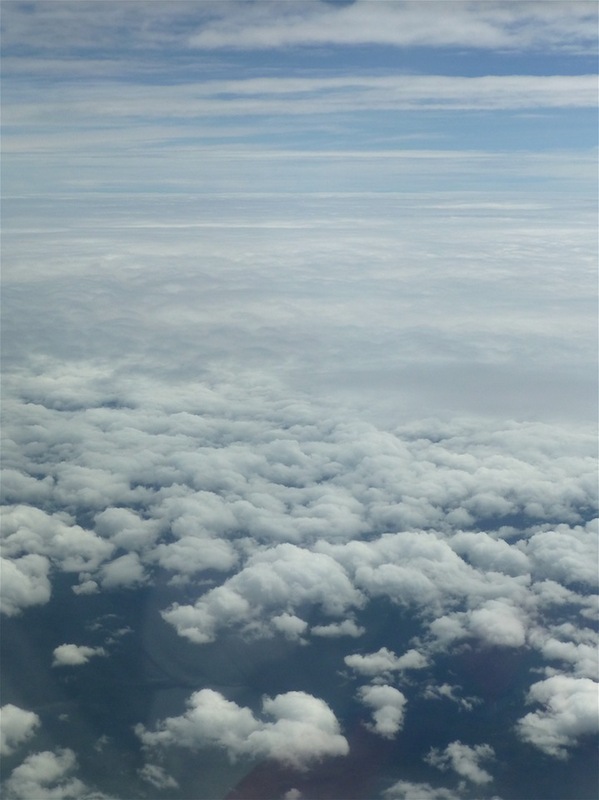 For an island whose indigenous name, Waibene, means ‘no water’ the prospect of growing fresh greens would seem dismal. However, thanks to TAFE teacher George Ernst’s efforts, a garden system has been providing the community with a free supply of fresh greens for the past few years. Based on creating small ‘donut’ mounds of mulch and compost a couple of metres in diameter, 50 or so of these self sustaining mini-gardens are dotted about the landscape on public land and support a variety of fruit trees and vegetables. 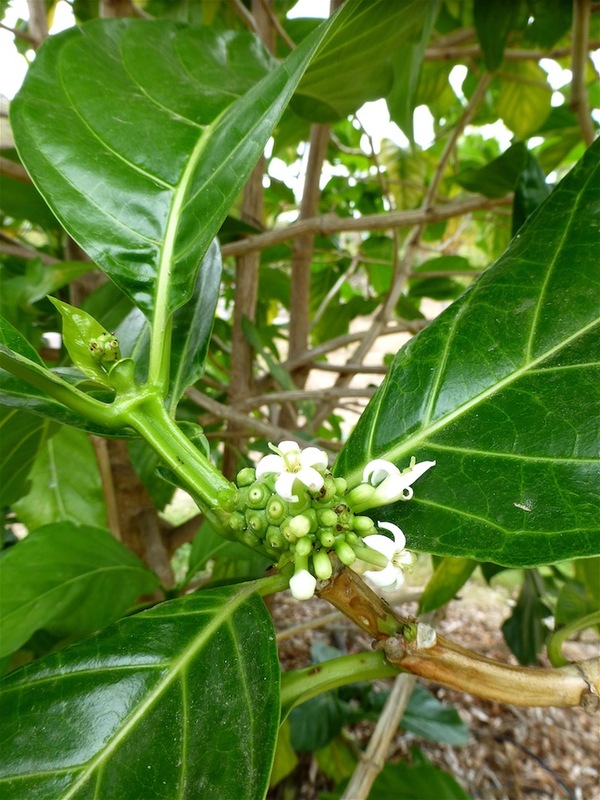 The ‘donut’ community gardens reflect the diversity of the Torres Straits Islands whose cuisine is a melting pot of different culinary cultures. Influences can be tasted from the Pacific Islands, PNG, Indonesia, the Philippines, Malaya (as it was then), Japan, China, Britain and more recently, Brazil! 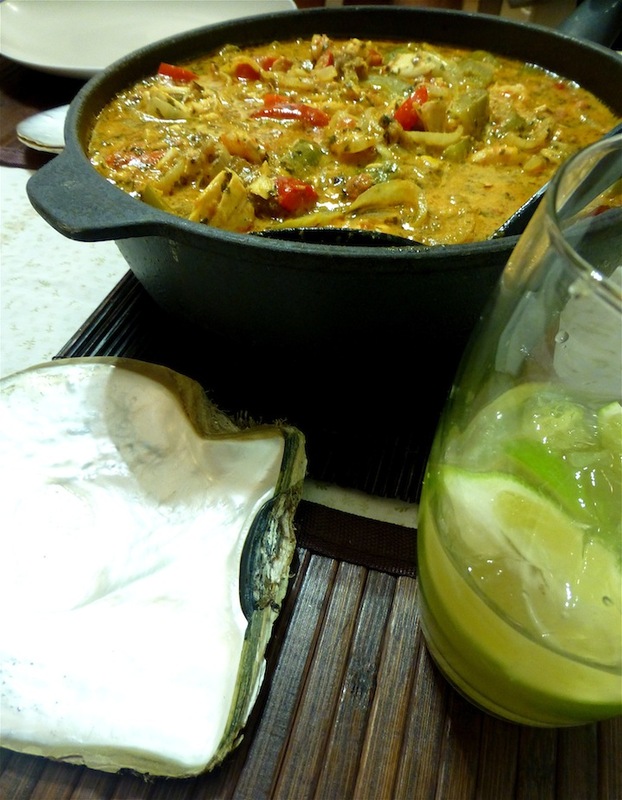 This latter in the form of a Brazilaian moqueca, a traditional fish stew that was accompanied with glasses of caipirinha, Brazil’s national cocktail that is made from cachaça (sugar cane hard liquor), sugar and lime. 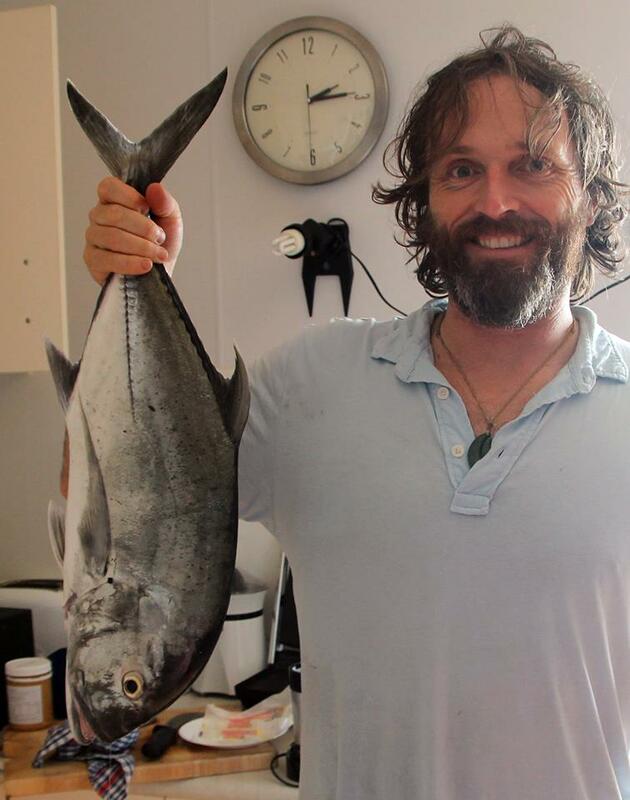 The fish was locally caught, and the lemongrass, chillies and fresh limes sourced from the gardens. 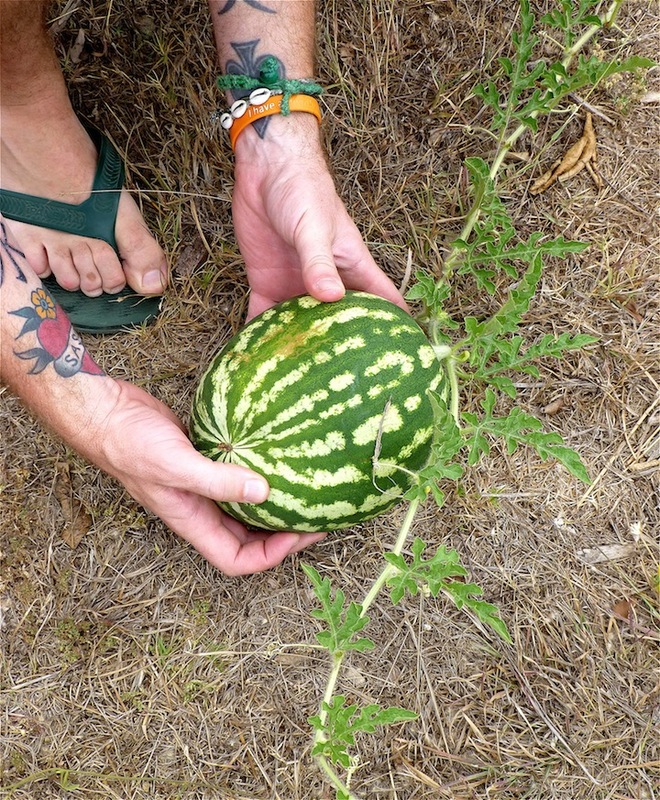 The ‘donut’ gardens also netted watermelon…………. 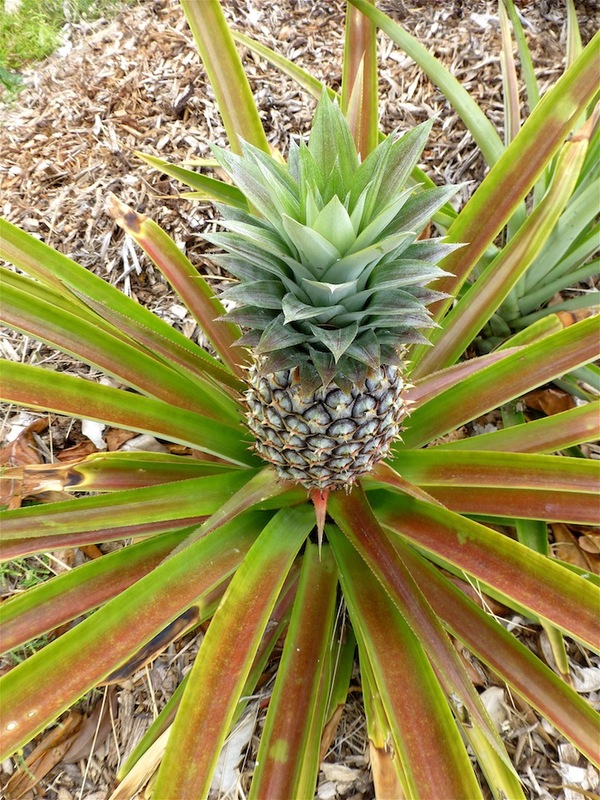 ……….pineapple………. 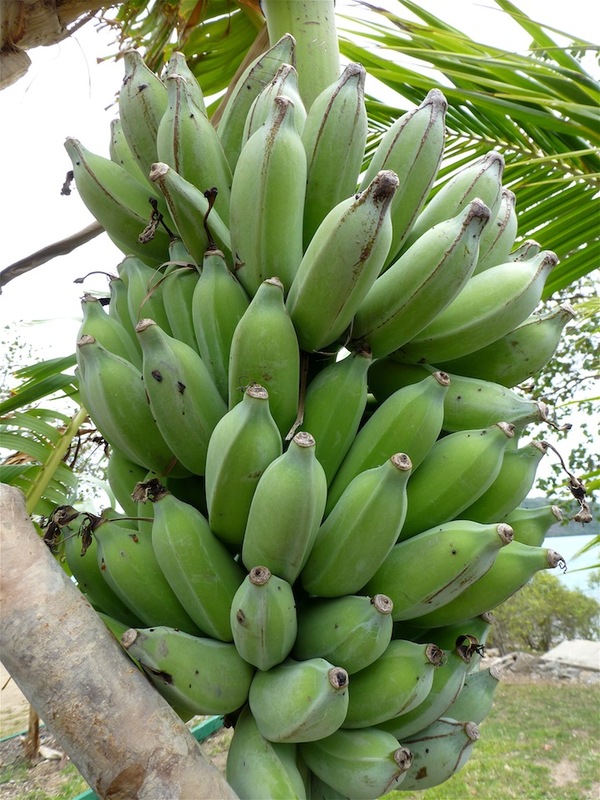 ……….bananas being carefully nurtured to maturity, and a more recent discovery – a Brazilian caju. 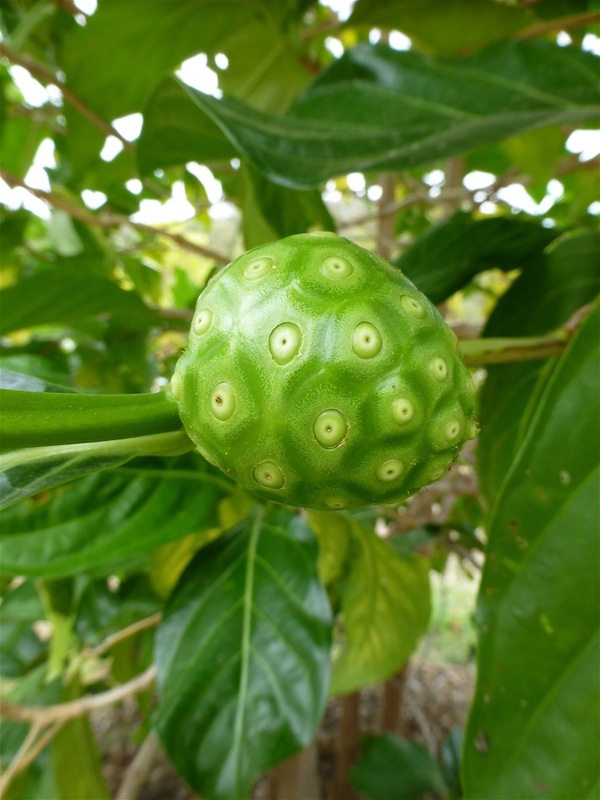 The most intriguing find however, was the fruit of the Noni (Morinda citrifolia) tree found next to the sports complex. 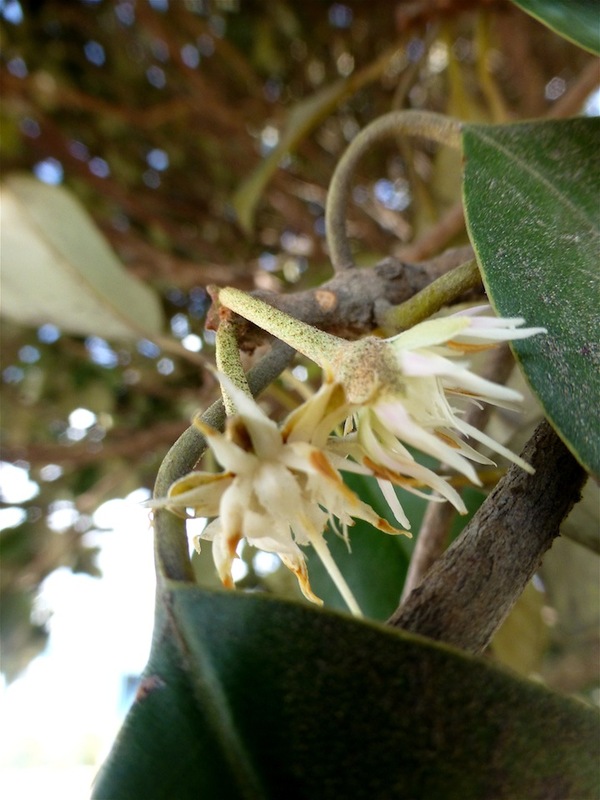 Its small waxy looking flowers……. ……..create an unusual looking fruit………… ………that is supposed to be succulent and flavoursome despite its pungent smell. The juice of the Noni is packed with vitamin C, and is regarded as having a range of other medicinal properties that could combat high blood pressure, menstrual pains, heart disease, gastric ulcers and diabetes. But more than just food for the stomach, Brunyfire and Co’s Thursday Island experience provided sustenance for the soul – a place of warmth (and that’s not just the weather – the locals were great) – seeing the family settled – some great smelling flowers……….. ……..sun rises to die for right at the back door………… ……….that made leaving all the harder. And whilst Brunyfire refrained from eating that last remaining wongai fruit – she’ll be back. A post script: Check out the TI Tucker trail story printed in the Torres News.